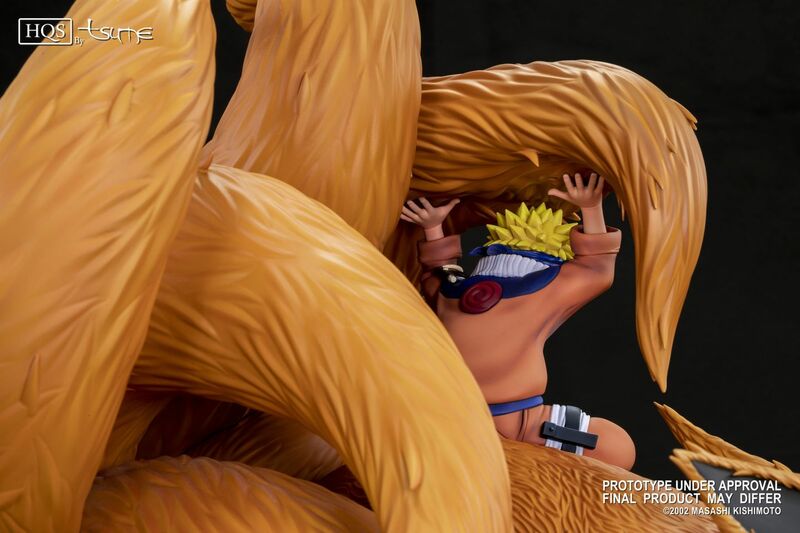 Naruto is finally being released in HD Blu-ray discs! It’s time watch again or for the first time the story of the young boy who dreamt of becoming Hokage! 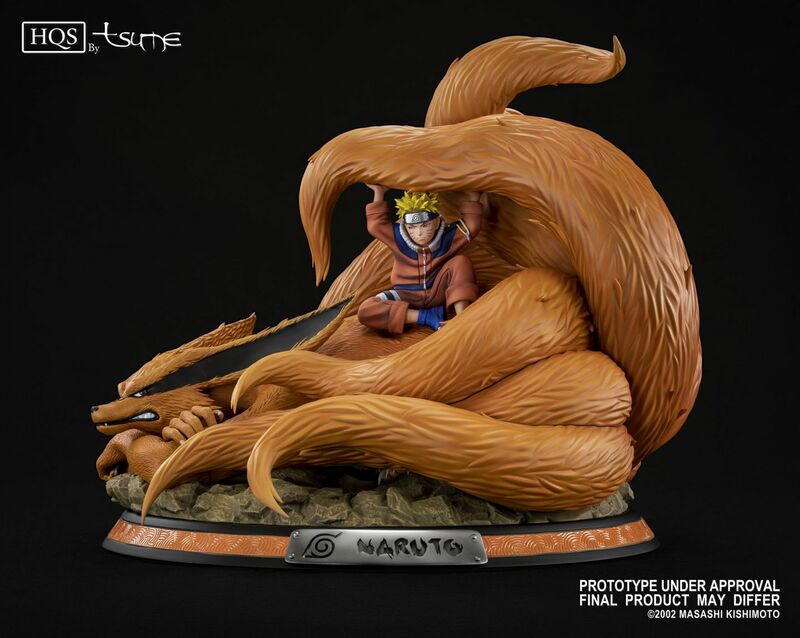 To celebrate this release, TSUME and KANA HOME VIDEO are proud to present a collector edition including an exclusive complete Blu-ray box and a Naruto & Kyubi - Linked by the seal HQS by Tsume’s statue. 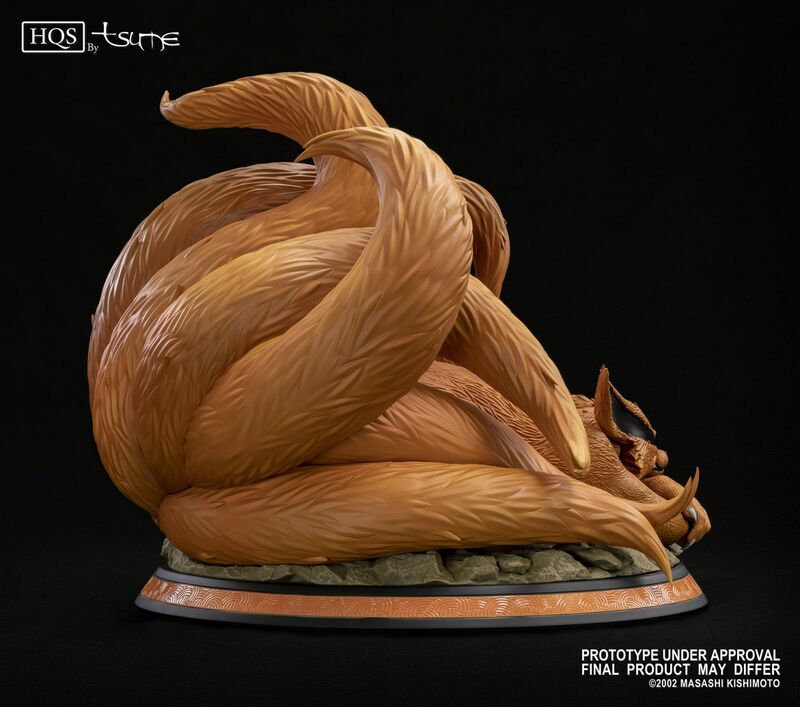 Naruto was only a baby when he became a vessel where Kyubi, the terrible Nine-tailed Demon Fox, in order to imprison him. 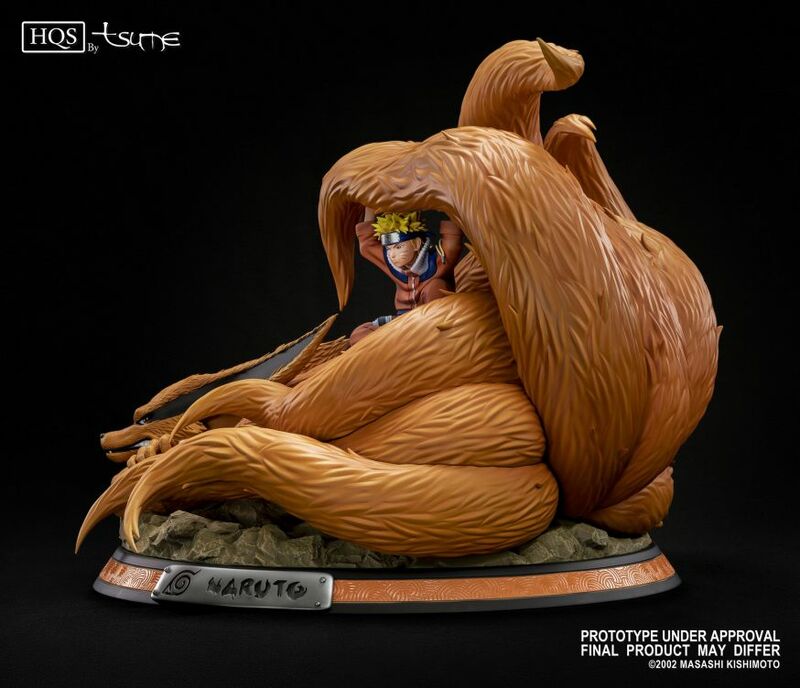 While often feeling “cursed” with it, Naruto learnt to live with it and even eventually befriended his “guest”. 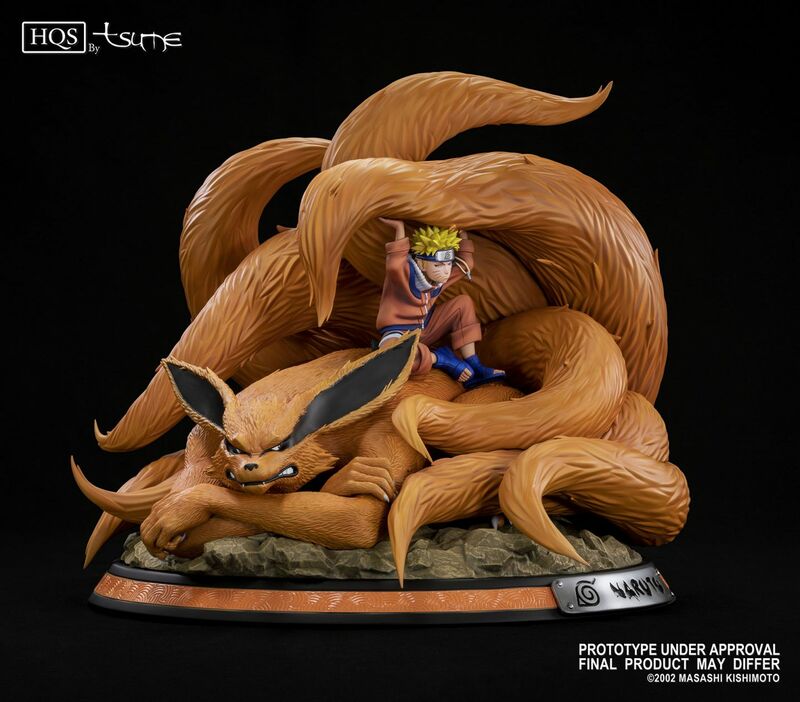 This is the feeling we wanted to emphasize here: the unusual bond between a young boy and his Tailed Beast. Based on one of our artists’ original artwork, this statue features Uzumaki Naruto, sitting on a massive Kyubi. We can feel the fresh feeling of understanding and friendship between those two. 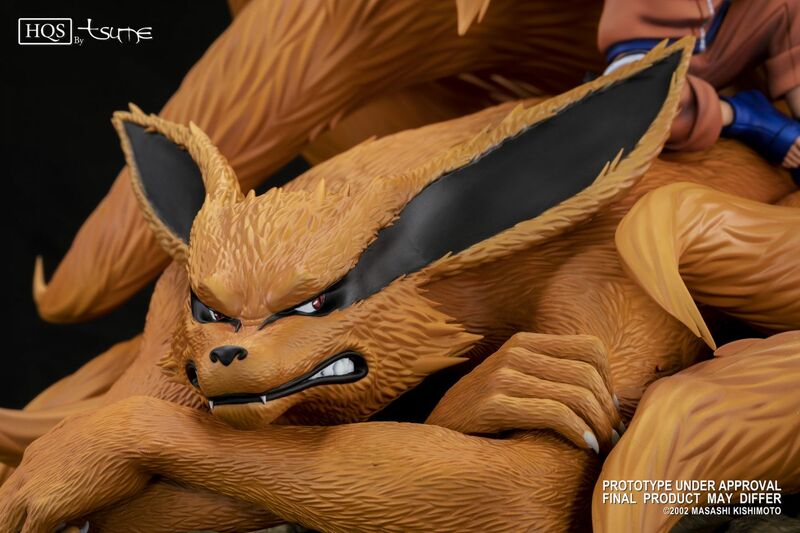 Naruto is watching Kyubi, looking annoyed by his guests’ giant tails. 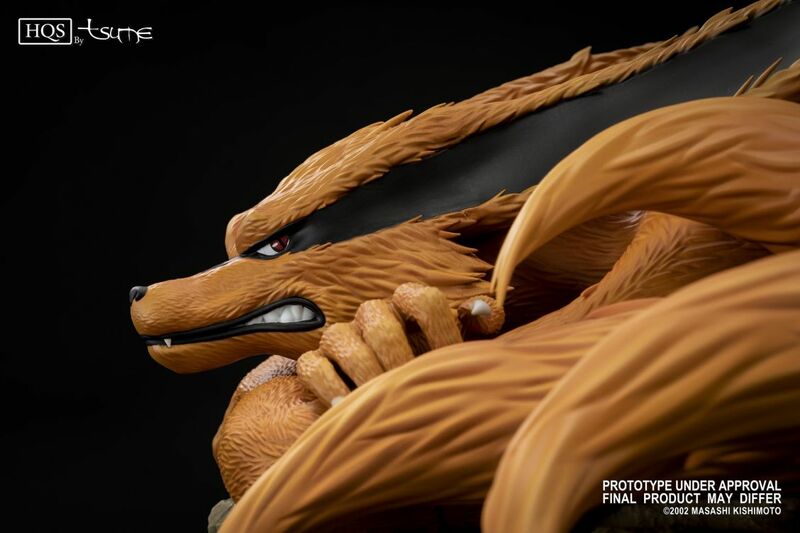 Kyubi’s looking at Naruto, feeling slightly upset, yet kind of amused. The sculpture fuses digital art and traditional art to achieve a stunning visual result, both precise and organic. 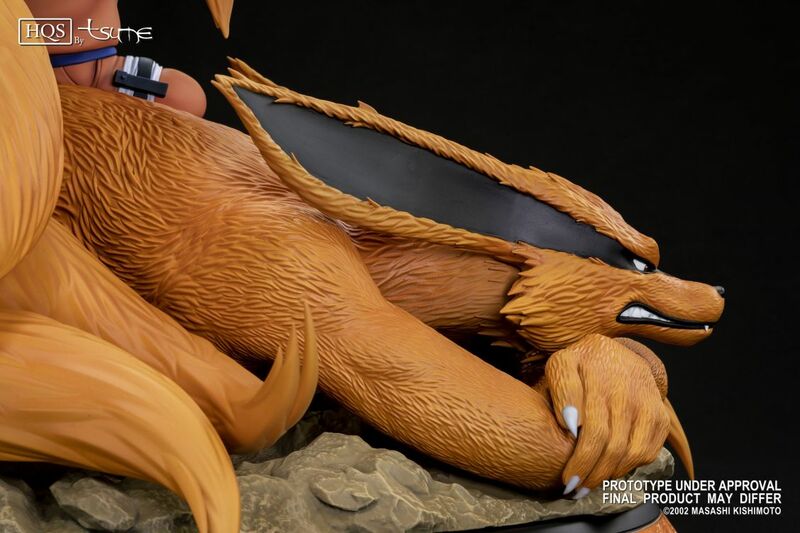 While being technical and complex, the statue still displays reasonable sizes so as many collectors as possible may be able to exhibit her with no need of a specific setup. 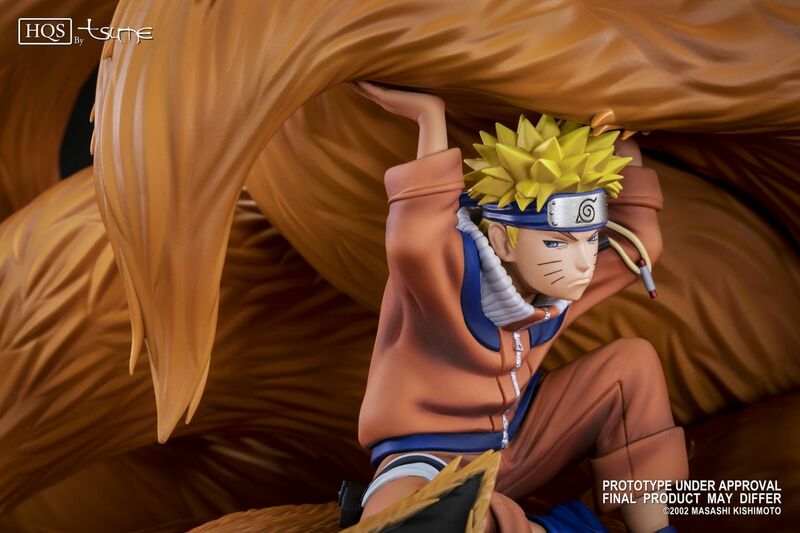 One of the most important part of the art was to get Naruto and Kyubi’s expressions right, just as their gazes. 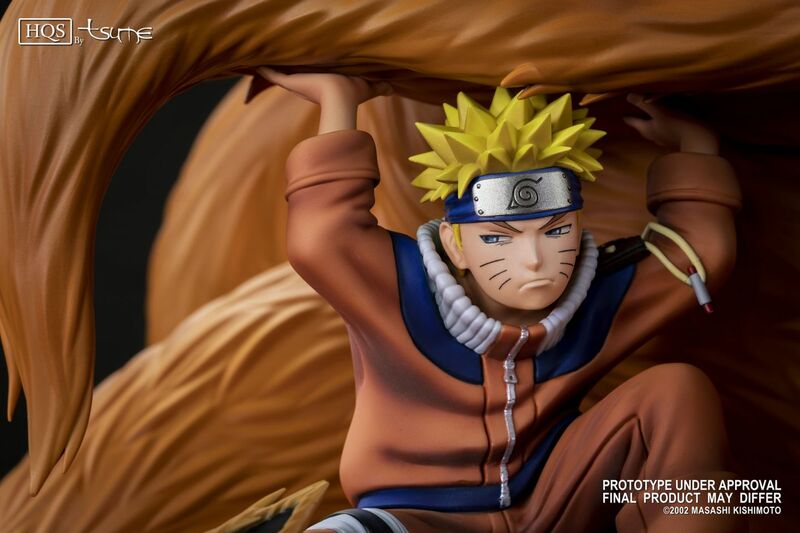 This is our first piece in the original Naruto universe, and we wanted to offer an original composition where sculpting and painting would convey as accurate as it can the show’s ambiance. Scale 1/8th. Total run of 1600 pieces. One collector complete 220 episodes Naruto HD Blu-Ray box: 30 dual-layer Blu-ray discs, AVC encoded high definition master. Aspect ratio: 1.177. Video resolution: 1920x1080. Run time: 220x23 mn. Languages (DTS): French, Japanese. Subtitles: French. Special features: Opening theme, illustration gallery, and an A4 sized exclusive print of the original illustration of the statue drawn by Yasuaki Kurotsu. Please keep in mind the whole pack will be delivered in one time, once the production is over. 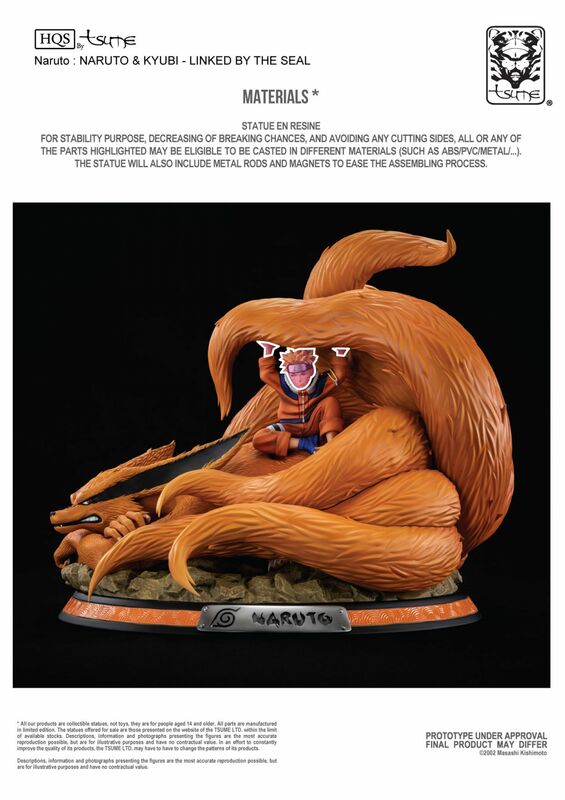 You will receive the complete blu-ray box and the statue together.